I didnt really intend to post anything today but it was dropped in my lap and I couldnt resist. I am a Jeopardy kid from a Jeopardy family. As a baby, I would hum the final question music and tap out the beat with my baby spoon. I pride myself on being able to answer questions on that show and sometimes I even consider being a contestant. Because I have always loved trivia. Little known facts that are only useful on inebriated nights with friends that are also known as game nights. I asked my mother to buy me an almanac when I was 9 and I am a self confessed nerd. And I be code switching. Code switching? What’s that? Well first let me tell you a little bit more about me. I am very much a Black girl. Teetering the line between stereotype and black exception at most junctures. Yes, I love fried chicken. And yes, watermelon too. Yes, I have been scorched by hot combs, gotten chemical scalp burns by relaxers and I know my way around an afro pic. Yes I can sing and dance and I am not at all intimidated by a multi-layered beat (The 2 and the 4 people, the 2 and the 4!). Yes, I know my father. Yes, I have traveled abroad. Yes, I have my degree. Yes, I work in the arts (2 jobs as of today! Woohoo!) Yes, I am unwed and childless. And yes, I be code switching. Code switching!? There’s that phrase again! According to Wikipedia, in linguistics, code-switching is switching between one or more language, or language variety, in the context of a single conversation. Multilinguals—people who speak more than one language—sometimes use elements of multiple languages in conversing with each other. Thus, code-switching is the use of more than one linguistic variety in a manner consistent with the syntax and phonology of each variety. So either you believe she is psychotic or… or… what do you think? Well she is code switching. Code switching is the basis of this blog and I need for you to understand that I am not being ironically ignorant. 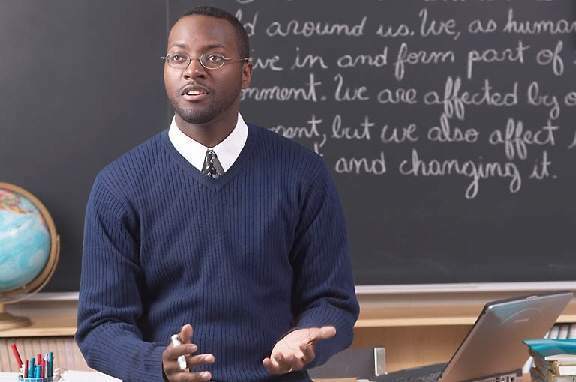 Black English is a language that is distinct from Standard American English. If you have read enough of this blog I hope that you know that I am proficient in both. I code because I have thoughts that can only be truly expressed in my native tongue of Black English. Sometimes it just beez like that. I am proud of who I am even as I try to make a way in a society that tells me I shouldnt be. I love my brown skin, my thick hair, my almond eyes, my feisty wit and my language. It is revolutionary and I accept that. But every once in a while something can happen like a Jeopardy category called “B in the Middle” that reminds me that I be important. On my way back from my first puppet show rehearsal (yeah, more about that later) I saw a sign. It said, “Watch for motorcycles. 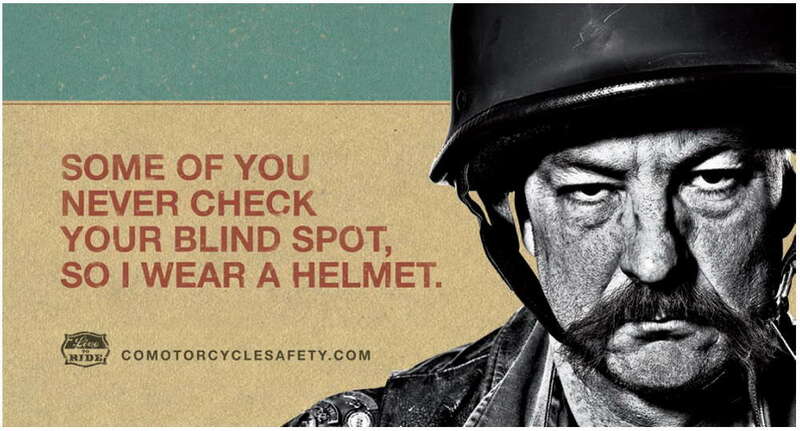 Check your blind spots. Share the road.” Now, I dont know what it was about that sign that made me think about politics but it did. Check your blind spots. Share the road. They seem like simple little innocuous sayings but they are not. It seems like “checking our blind spots” and “sharing the road” have become revolutionary ideas. Being blind is not seen as an asset. It is categorized as a disability, a weakness. “Blinded by love” is to lose all of one’s common sense while under Cupid’s spell and no one wants to be “robbed blind.” But when we are driving down the highway in our vehicles of various sizes, singing our favorite songs we dont always own up to our lack of vision. “He was in my blindspot!” (Why is the driver always a man until proven otherwise?) He was in my blind spot. Like how dare he be in a place that inconveniences me. The nerve of him. I would say its all the political talk that usually follows conventions that incited this train of thought, but its not. Recent events have introduced me to my blind spots. Two weeks ago, I had the honor to meet Pulitzer Prize-winning journalist Jose Antonio Vargas (@joseiswriting for all the tweeps) and he made me check my blind spot that is the 12 million undocumented Americans in this country. Yeah, let that sink in. 12 million. People who work, eat, sleep, pray, live, love and are just as American as anyone else. Oh, and they drive too. We share the road with them every day. We dont ask to see their IDs before we let them pass us. We treat them with the same respect, or disrespect, that we would give any other driver. We have to; for everyone’s collective safety. The elections are fast approaching. And though I have hope I also have concerns. Because certain political parties and players have made it clear that not only are they disregarding their blind spots but they have no interest in even admitting that there are blind spots that need to be checked. And I am very afraid to see what kind of country we will have if they get behind the wheel. Win or lose, black or white, red or blue, we will all have to share the road. There are only so many people we can run over, cars we can leave unattended and wrecks we can let disrupt the flow of traffic before none of us will be able to get anywhere. We are the potentially homicidal drunk driver on the highway to progression. The solution is simple. Check your blind spots. Whether or not you see them, they are there. The undocumented, the homeless, the single parents, the unemployed, the homosexual, the impoverished, the mal-educated and the malnourished. Whether or not you see them, they are still there. And they have just as much nerve and just as much right to be here as you do. Share the road, so we can all get where we want to go.